For almost a year now, developers have been able to use Unreal Engine 4 to create immersive worlds for us to traverse. A $19 monthly subscription gave anyone access to the engine and early access to the Unreal Tournament pre-alpha. You read that right: a pre-alpha. It’s a concept we don’t see very often in the gaming industry. Epic Games hopes to encourage game developers and modders to create content for the new Unreal Tournament. They call it crowdsourced development; I think it’s awesome. 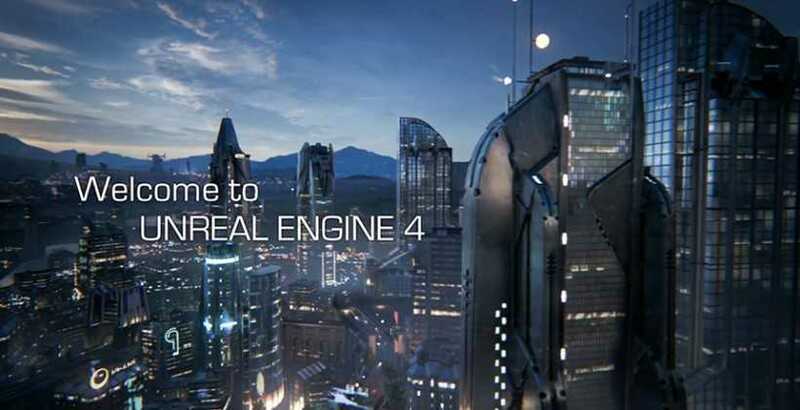 With Unreal Engine 4 available to everyone for free, we can expect to see a lot more crowdsourced development for years to come. Developers who use Unreal Engine 4 must agree to a 5% royalty per product, per quarter after earning an initial $3000. This royalty agreement frees developers from some of the risk associated with game engine licensing. The initial licensing investment typically presents a hurdle most developers can’t overcome. I’m stoked to see what this could do for indie development over the next few years. This is a great example of what Unreal Engine 4 can do with extreme attention to detail. Granted, a skilled artist must take the time to build a world this beautiful, but the Unreal Engine 4 definitely opens a new door to game developers. Now that Epic Games removed the subscription, gamers everywhere can play with the software and the Unreal Tournament pre-alpha. That’s not the only game engine announcement today. Valve also announced its new Source 2 engine and its free availability to content developers. Maybe this freedom will inspire a new generation of game developers. The gaming industry is becoming more popular everyday with hundreds of indie companies bringing new concepts to the market each year. I’m excited to say that Unreal Engine 4 and Source 2 will help that continue for years to come.